My husband and I took this train to reach husband’s hometown. It has nice and unique traditional train interior. 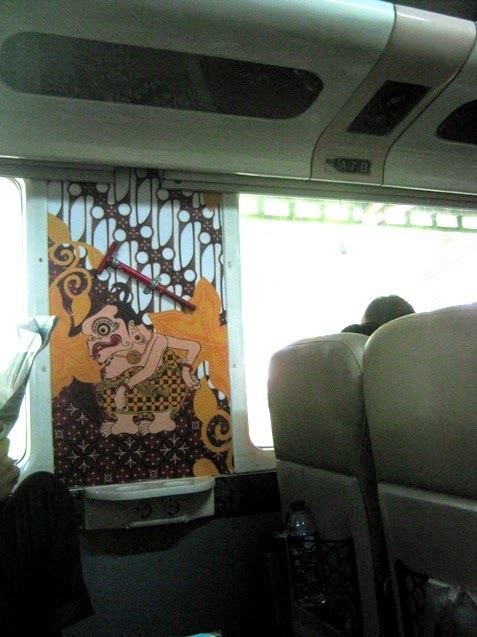 Not only beautified with batik designs, you can also see the unique character on the wall. 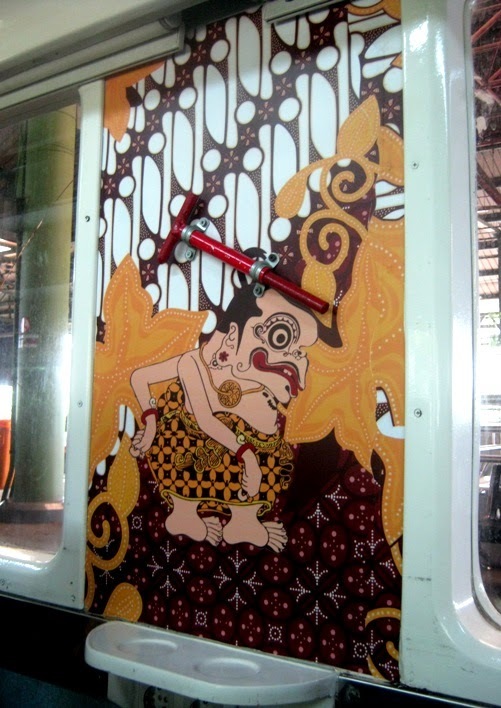 The character named Semar, one wise character of punakawan (clowns) in Javanese wayang (a kind of traditional puppet show). The red hammers for emergency situation are located on it as well. Wow. I wouldn't expect to find lovely artwork like this on a train. It's beautiful. Yes, excellent, funny design, also Semar!